As your partner, we want to help provide education around nutrition and pet care. 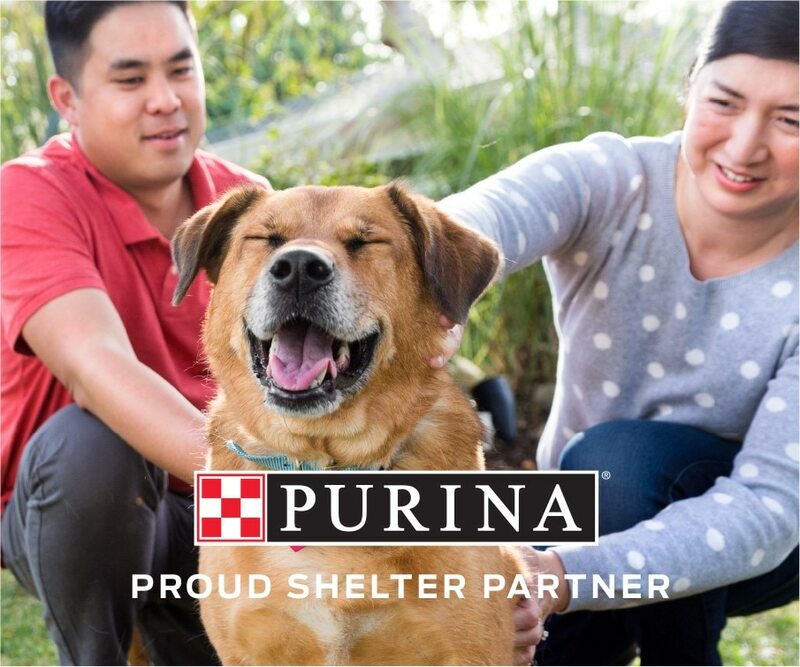 These posts will help showcase the benefits pets and their parents receive when using Purina products and adopting from a Purina-supported shelter. Have you heard of FortiFlora? Shelter pets transitioning to a new forever home may experience stress. Learn how FortiFlora can help. We asked adopters what shelter pets brought to their lives. The answer was pretty unanimous. 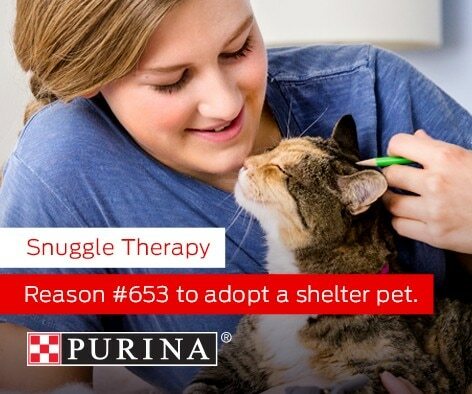 Adopting a shelter pet can be one of the most rewarding experiences of your life. Consider adopting a shelter pet today. 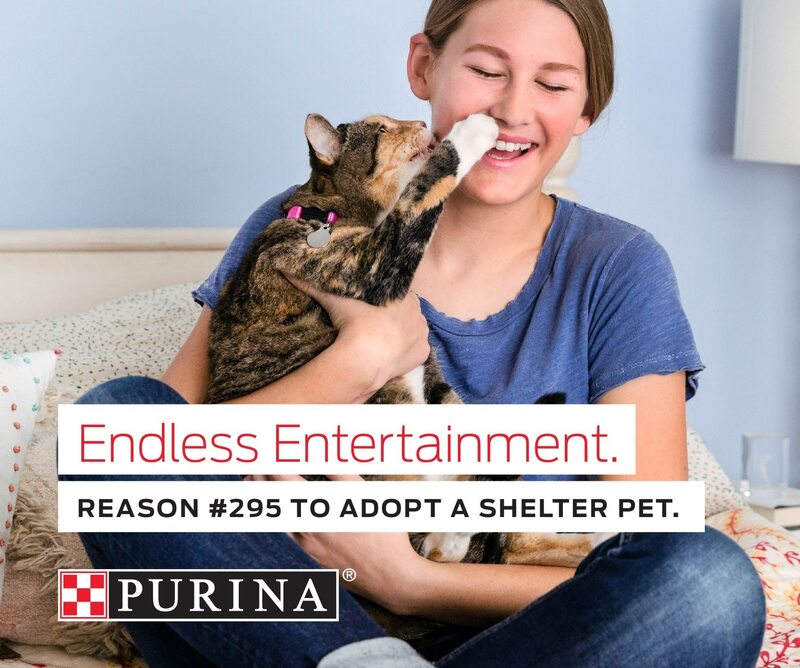 There are hundreds of reasons to adopt a shelter pet. What's yours? Did you know the food you feed your dog impacts not only how he feels in the inside, but his outside as well? It’s more than just adopting a pet, it’s changing a life. 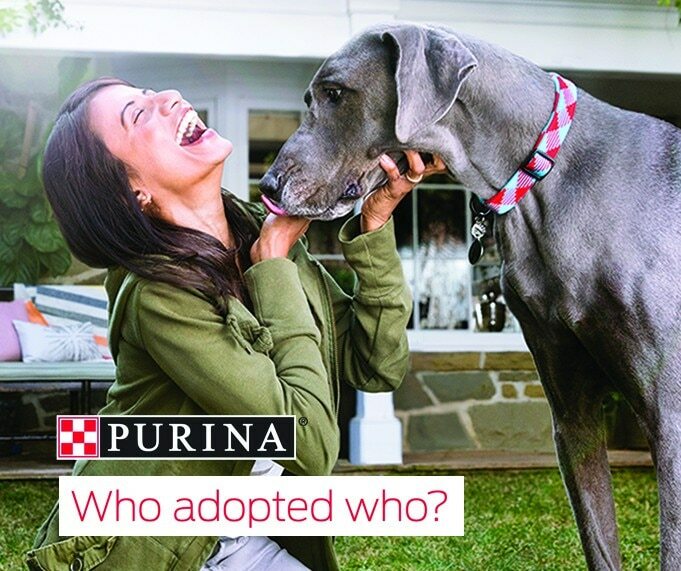 What’s your pet adoption story? Shelter pets transitioning to a new forever home experience stress. Learn how FortiFlora can help. Almost half of domestic abuse victims stay in their situations out of fear for their pets&rsquo; safety. 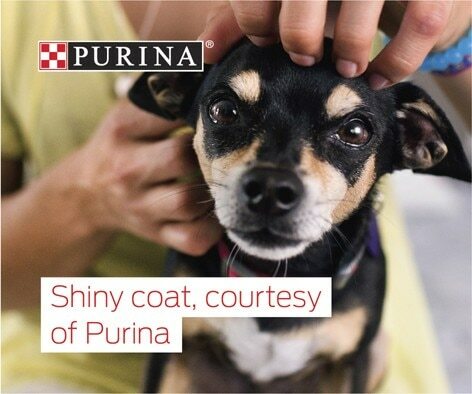 We&rsquo;re proud to partner with Purina, a company working to make people and pets safer together. There are hundreds of reasons to adopt a shelter pet. What’s yours? We all know the benefits of having a pet are incredible—here’s even more proof! How do pets help us live bigger & better lives? Dr. Zara Boland shares her thoughts from the Purina Better With Pets Summit.